Join Mouse on her remarkable journey through the wood where the Gruffalo lives... or does he? Mouse starts off on an expedition to find delicious hazelnuts, nut map in hand, but things soon get a whole lot more interesting. She meets the sneaky Fox, the eccentric Owl and the party animal Snake, and she manages to outwit the lot of them with her amazing stories about the legendary Gruffalo. This show is packed with music, laughter, physical theatre and scary bits that are fun... but not scary enough to disturb a child. The result is a charming family show for anyone who wants a child-centred Christmas theatrical treat. The story is, of course, based on Julia Donaldson and Axel Schefflers' magical picture book, and it has thrilled audiences the world over. Interestingly, the plot is inspired by a Chinese folk tale involving a fox that uses stories about a fierce tiger to keep his enemies at bay. The author, who couldn't think of a suitably monstrous name that rhymed with 'tiger', invented 'gruffalo' instead. And a legend was born. The Gruffalo plays at the Lyric Theatre in London until the end of the first week in January. The book has sold more than 13 million copies, printed in 18 editions since it hit the bookshops in 1999. It has won a host of coveted prizes for children's literature, and has been adapted for the stage in the West End and on Broadway. The play premièred in 2001. The Times newspaper called it, "irresistibly charming". Now's your chance to experience the magic for yourself. Your children will adore it! My daughter loved the show and did not stop talking about it. Really enjoyed watching the Gruffalo. Brilliantly done and great humour for children and adults. Highly recommend. The performance is fairly loyal to the book, however the characters are not wearing furry costumes which may turn children off. On the other hand, it may not be suitable to under 3 year olds since the audience is asked to scare the Gruffalo off, resulting in quite a loud reaction. I had a fun time with my 7-yr-old, and I definitely recommend it. Kids burst with laughter many times throughout the show. It was cute, cheeky, funny, clever, musical... really entertaining. Even my 16month old couldn't take his eyes off the stage. I loved it. Bought the CD and look forward to the kids signing the songs in the car. Will look for other productions by this company. Fantastic show, tricky to thrash out a short children's book into an hour-long show but very entertaining. My 5yo shouted the house down when audience responses were needed. This show was fantastic. They encouraged the children to join in singing and shouting. Our 4 and 6 yr old thoroughly enjoyed their first trip to the theatre. Show was about an hour long. Just long enough for them. 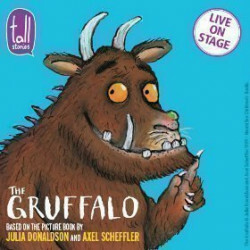 Was a little sceptical about how the story would be put over as my daughter loves the Gruffalo and is very protective of the story when we read it at home, but the show was fantastic. Funny, captivating and wonderfully acted out. My daughter loved every second of it and has really got the theatre bug because of it. She wants to come back again as soon as possible. We were a party of 2 2-4 year olds and 3 adults and all of us were drawn into the story and laughed out loud during the show. Well done on making an amazing story just a little bit better. Great entertainment for little one's and family to all join in.. It was ok, no more or less than expected. Daughter loved it and good interaction between the actors and audience. Great show. It was the right length for my 5 year old. I thought the actors were brilliant. It was witty for grown ups and engaging for children. My 3 year old grand-daughter was transfixed and loved every minute of the show, although she grew a bit restless during the rather overlong songs and was just really interested in the progression of the storyline. this was without doubt the worst show we have ever seen. flimsy set, recorded music and cheap costumes. lasted one hour terrible value for money and a complete disappointment do not even think about booking ! What lurks in the dark wood? 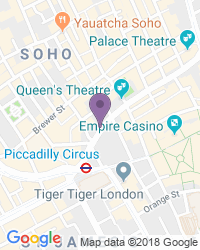 Use the search box at the top left of this page to search for The Gruffalo tickets availability.